Sébastien Delacroix has a Bachelor of Science Degree in « Science et Technique des Activités Physiques et Sportives », Masters of Science Degree in « Science et Ingénierie du Sport » and a PhD in Biomechanics. He worked in a Gait Analysis Laboratory as a technician from 2007 to 2011 before joining INP as a PhD Student doing research and teaching from 2011 to 2014. He received his PhD in 2014 and has continued teaching and doing research in gait and sports biomechanics and the effects of foot orthosis. 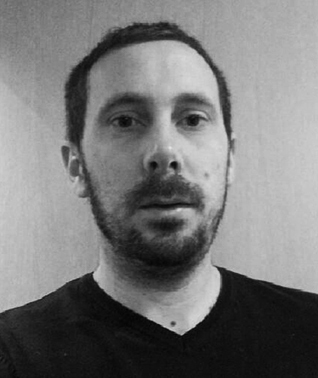 Sébastien Delacroix is a member of the French society of biomechanics (SB), the “Société Francophone d’Analyse du Mouvement chez l’Enfant et l’Adulte (SOFAMEA)”. He has published various papers on biomechanics, sports and podiatry in several French and international reviews. He has also given lectures on these topics in various conferences in France and at the 45 Spanish National Congress of Podiatry in Seville in 2014, the ENPODHE Conference in Malta in 2016, and the FIP Conference in Montreal in 2016.